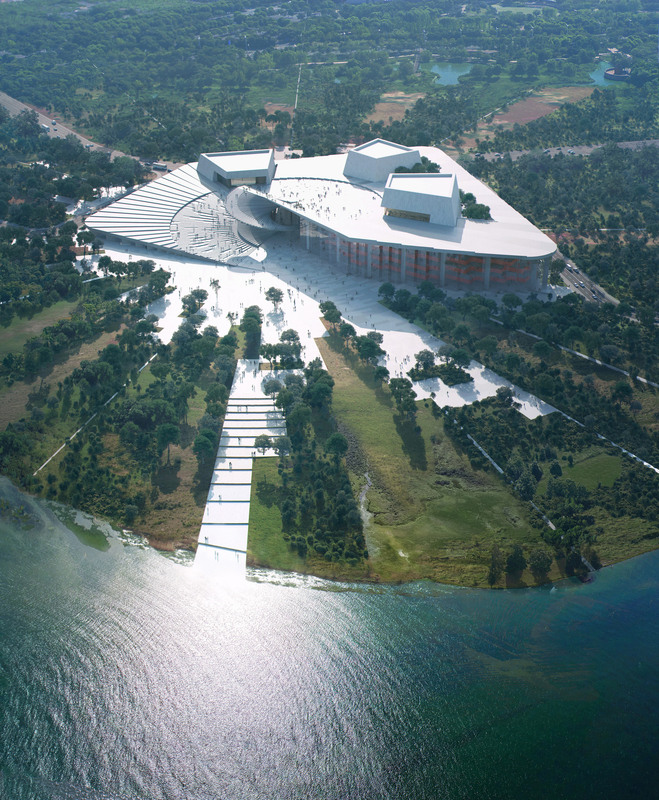 Set to be built beside the Huangpu River, it is expected to provide a major new cultural landmark for China’s biggest city. The building’s most prominent feature will be a tiered roof that spirals down to ground. 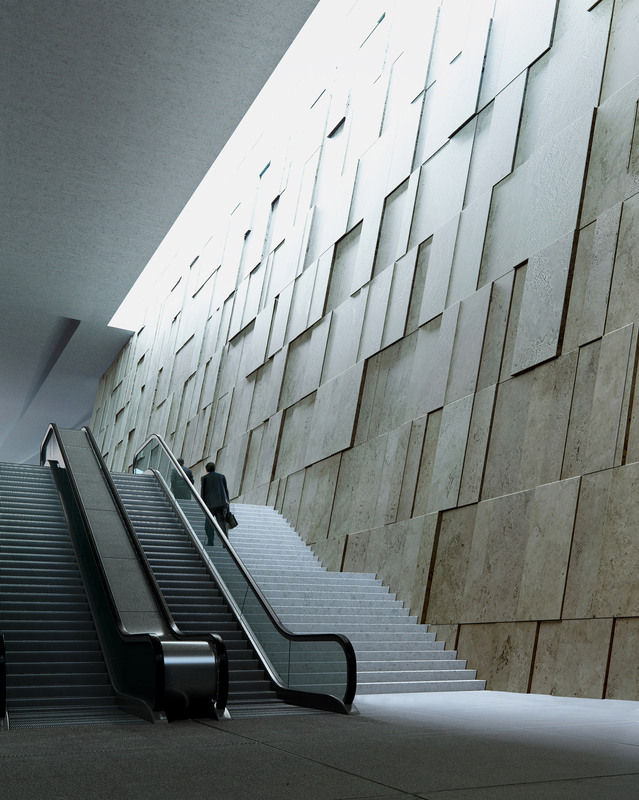 This is intended by Snøhetta to resemble an unfolding fan, evoking the feeling of movement and dance. 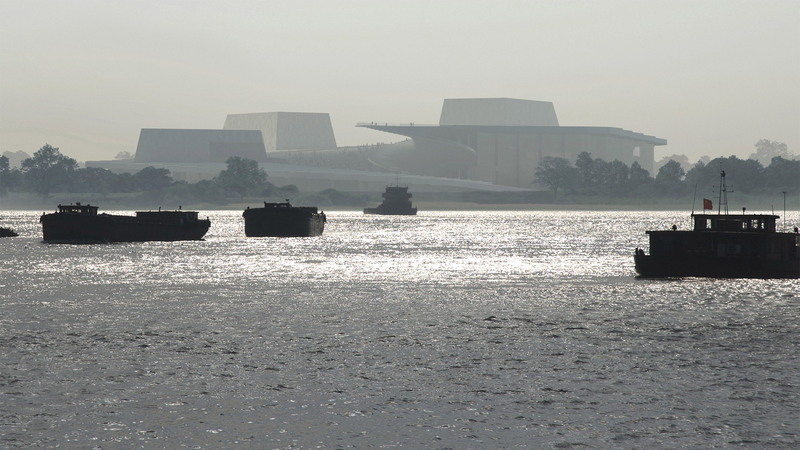 “The Shanghai Grand Opera House is a natural progression of our previous work with designing performing arts centres,” explained Snøhetta co-founder Kjetil Trædal Thorsen. 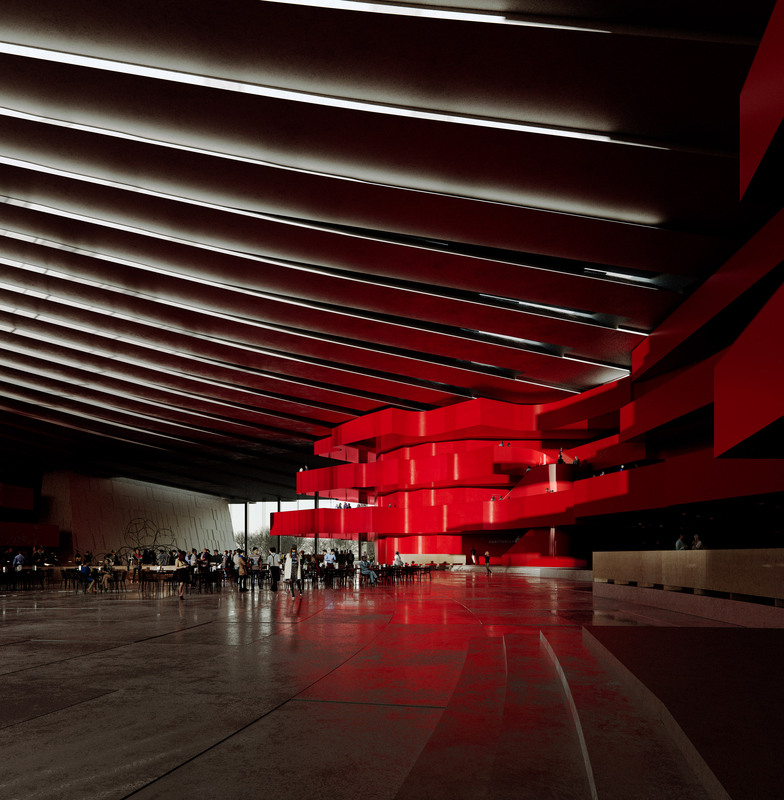 At the core of the building will be a 2,000-seat auditorium, for which Snøhetta is developing “state-of-the-art technical solutions and superior acoustics”. 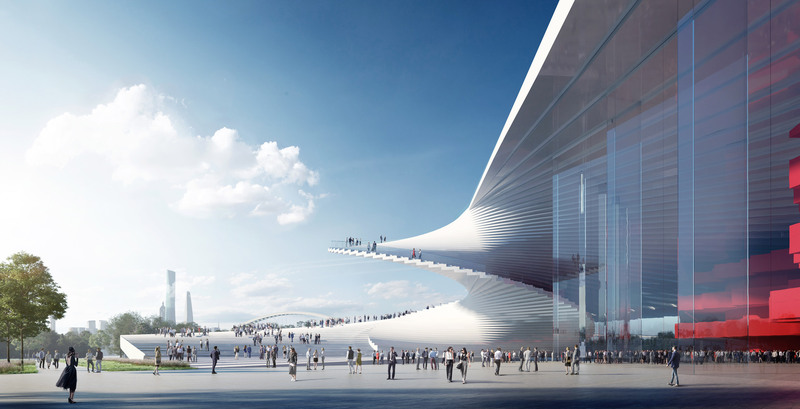 The spiralling motifs seen on the exterior of the Shanghai Grand Opera House will extend into the interiors of the building, and feature in its visual identity, which Snøhetta has also designed to reference an open fan. 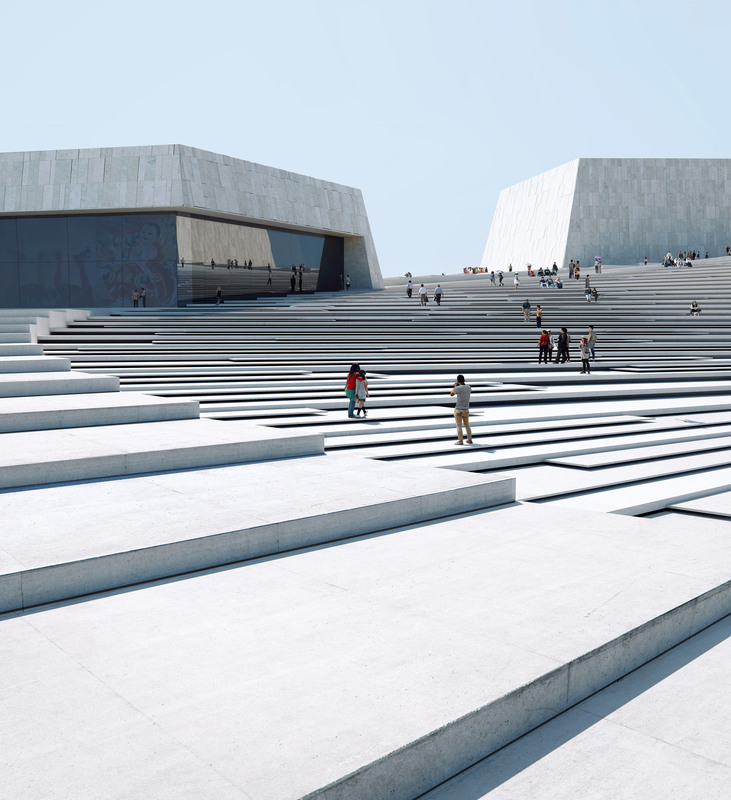 Interior finishes will be developed to contrast the building’s white exterior, combining soft silks with oak wood floors to support the acoustics. 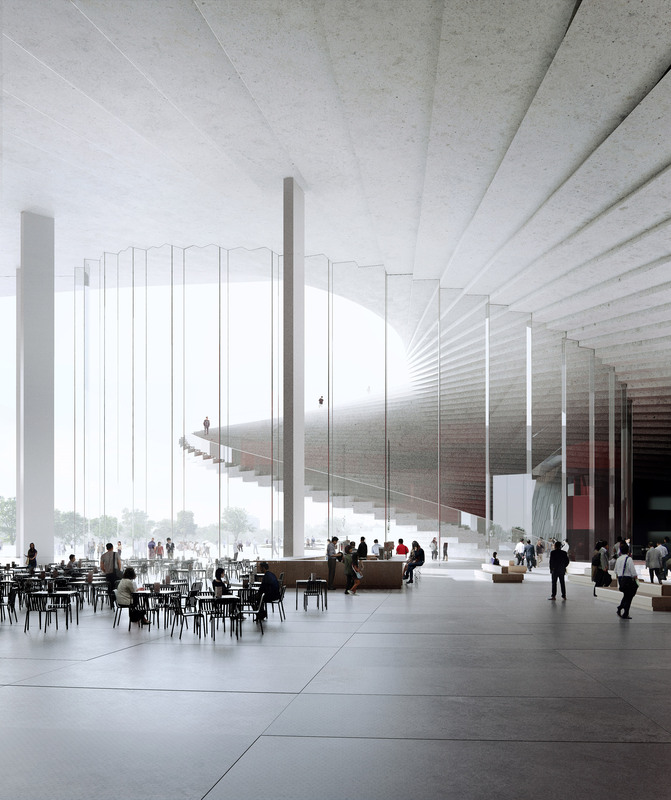 In the foyer, the oak will be stained red, while expansive glass panes will bring in natural light and “transform the experience of the building throughout the day and from season to season”. “The Shanghai Grand Opera House will be a world-class venue, placing the visitor at the centre of the stage,” said studio. Other waterside buildings designed by the studio include a hotel proposed for the Lofoten archipelago and Europe’s first underwater restaurant. 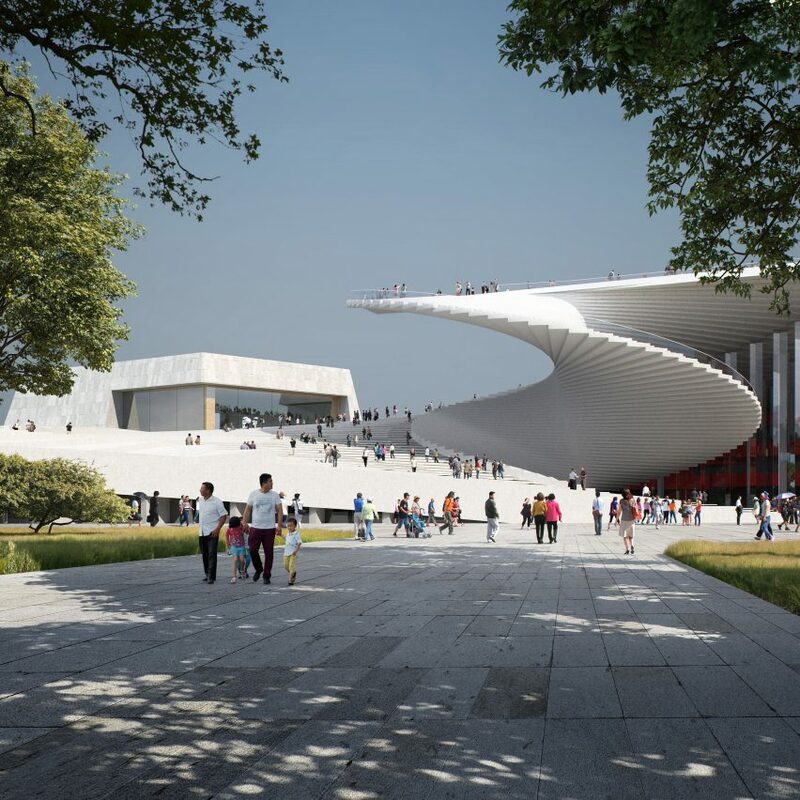 The post Snøhetta to build Shanghai Grand Opera House with spiral staircase roof appeared first on Dezeen.